For these individuals, the most important considerations about their websites are user experience and conversion rates. Sometimes it can be a puzzle to figure out how to better engage their visitors, boosting the time they spend on the site and turning that time into money through online sales. There are many pieces to the UX and conversion rate puzzle, but oftentimes users disengage and leave websites because they load too slowly or feature low-quality images. That’s where Cloudinary can help, enabling them to optimize image size and quality for any device their visitors are using. 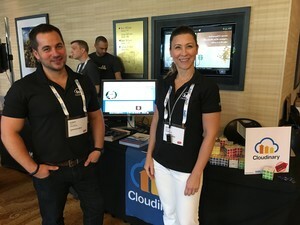 At our booth at eTail West, we had the chance to demo the Cloudinary solution for a lot of great brands, such as Home Depot, Office Depot and Petco, to name a few. We were also able to meet up with several of our customers, updating on our latest features and catching up. 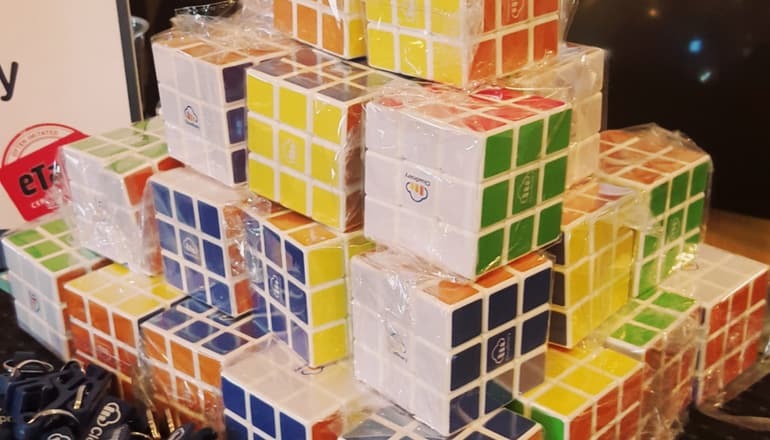 Even while talking business and showing attendees how Cloudinary could impact their bottom line, we had a little fun with our giveaway, a Rubik’s Cube. When we weren’t doing demos, we were challenging attendees to races solving the Rubik’s Cube. 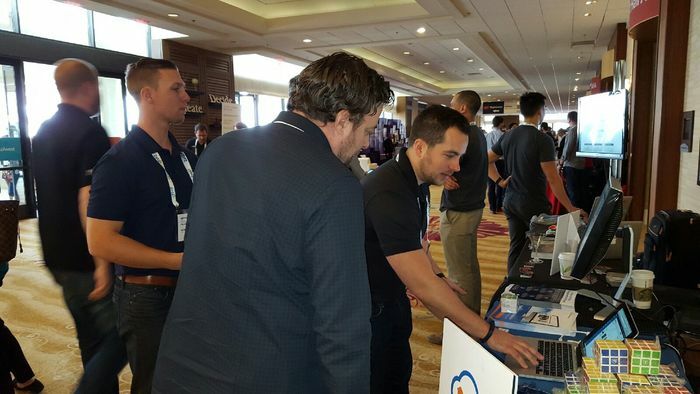 At eTail West, we made new friends, saw old colleagues and showed off a few of our Rubik’s Cube skills… We can’t wait to see what is in store for next year! For more information on how Cloudinary can help your company improve website conversion rates, Contact us for more information.